LAUSD: I am pleased to announce that the new MOU was overwhelmingly ratified. In addition to the reported 6% general salary movement, we were able to address prevailing wage inequities, salary differentials, and bonuses. I thank you for your patience during this very tumultuous period. Please take this time to make sure that your co-workers are members of their respective unions so that we show the district the solidarity that enabled our team to fight for a fair contract. 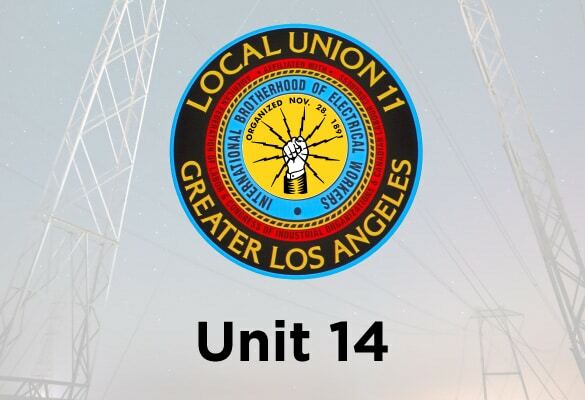 LA County: Several weeks ago, the Building Trades Council reached tentative agreement with the County with regard to MOUs 411 and 412. The reason we have not as of yet voted on this contract is that the Fringe Benefit Agreement has not yet been resolved. Normally these two agreements are independent of each other, but this time around there are economic portions on the Fringe Benefit Agreement that directly affect the MOUs. The Building Trades Council is therefore postponing the ratification of MOUs 411 and 412 until an agreement on the Fringe Benefits is reached. Although this has caused a significant delay, please rest assured that the MOU agreements will be retroactive to October 1st regardless of when they are ultimately ratified. I understand that this process has caused frustration for many of our members, and I am very appreciative of your patience. HACLA: Congratulations HACLA members! The new MOU was unanimously ratified by our membership. In addition to the 9% general salary movement over 3 years, we were able to achieve a 2.75% longevity bonus that gives our members with 8+ years of service a total increase of 11.75%. MOU 35: The current hiring hall agreement has been in place and untouched for over 30 years! This year we are finally able to try to address some of the issues we have dealt with for decades. While we are still in negotiations, we have been able to secure the state mandated sick leave benefit for our members! If you have any issues you would like to see addressed during negotiations, please send them to me as soon as possible.